On the high ground near the center of the castle complex is its oldest section. It is here that the Romans built the Phaos, one of two lighthouses that flanked Dover harbor. It dates from 120 AD. The Phaos is an 80 foot, stone tower. Fires were burnt in the tower to guide galleys into the harbor. Later, the Phaos was converted into a bell tower for the church standing next to it. Inside the tower is hollow and empty but you can look inside. Adjacent to the Phaos is the late Saxon church of St. Mary in Castro. It was built around 1000 AD inside a fortress that served as a defense against Viking raiders. The church later fell into disrepair and was used as a cooperage and a coal storage area. It was restored in Victorian times and served as a church for the Castle's garrison. It is still active but visitors can take a look inside. The original defenses for this area were replaced by a bank and stone wall in the 13th century, which are still in existence. 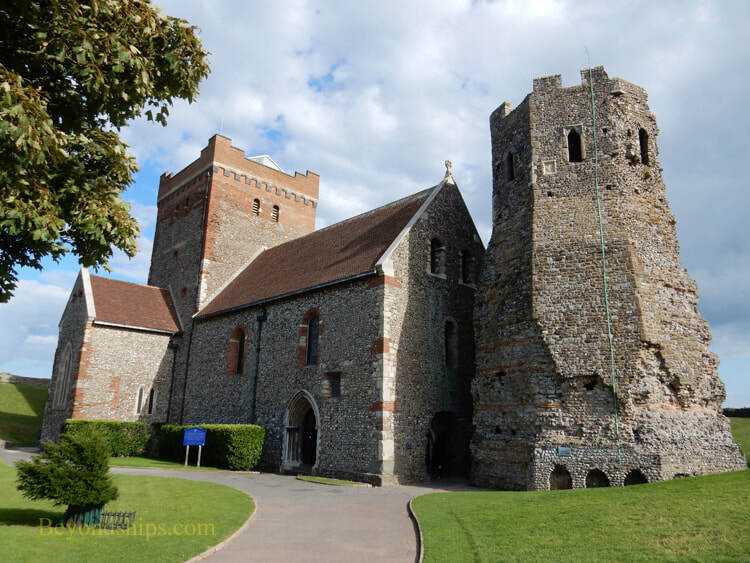 Although an ancient fortification, Dover Castle saw active duty in both World War I and World War II. 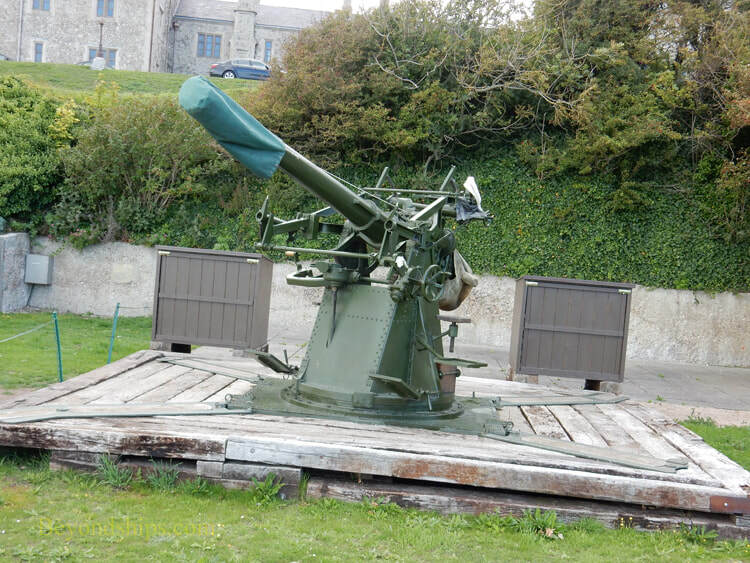 One of the functions it served was to act as the fire control command for the artillery guarding Dover and the Straits of Dover. The World War I fire command post can be visited. 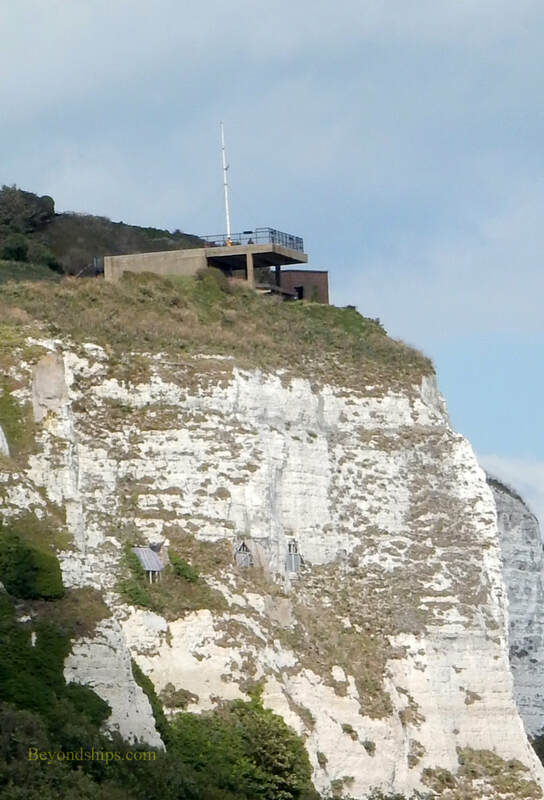 From its roof, there are spectacular views of the sea and the White Cliffs. 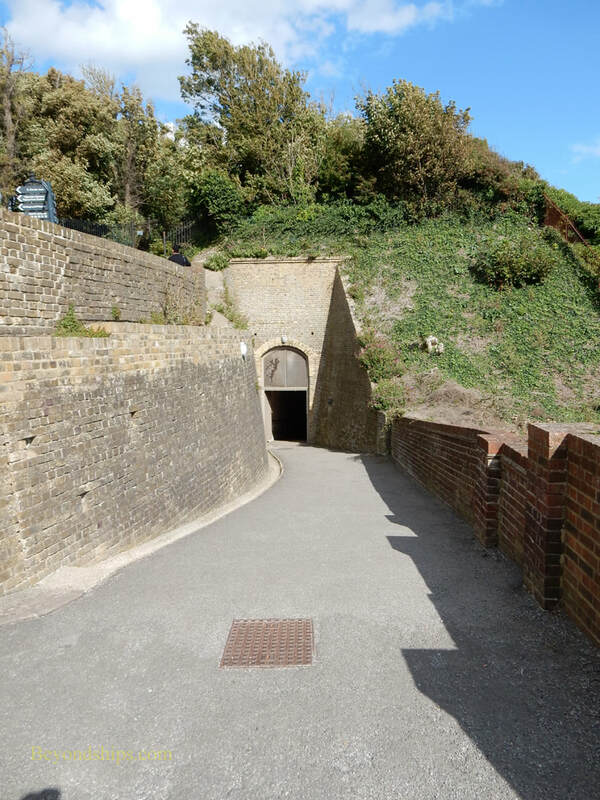 During World War II, a series of tunnels built into the White Cliffs in the 18th century were improved and expanded. A portion of the tunnels served as a hospital. In addition, the tunnels were used as a headquarters command center for naval operations and ship movements in the English Channel.. The rescue of the British Army from Dunkirk was planned and coordinated here. The World War II tunnels are open to view as are a series of medieval tunnels on the other side of the Castle. Below left: A tunnel entrance. ​Below: A fire control platform. 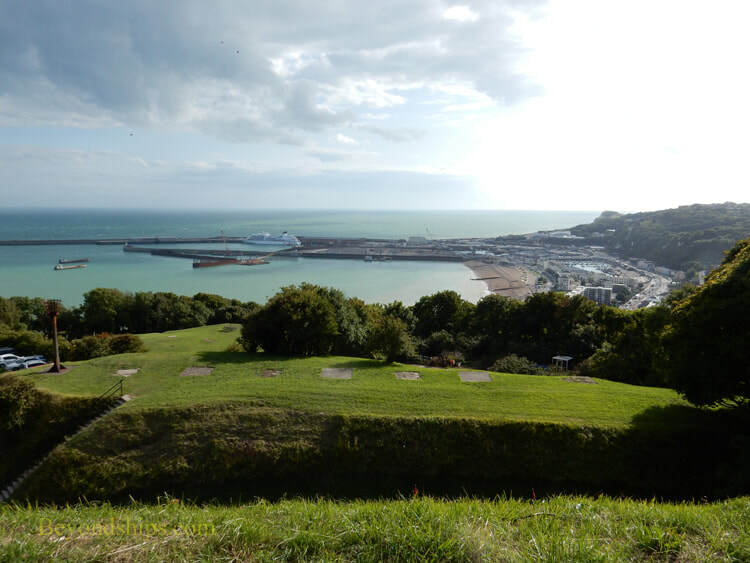 For information about visiting Dover Castle, see the English Heritage website.